Pisco is Peru's national alcohol and a close relative to brandy that is distilled in clear containers so that they don't acquire any other flavor but that of the grape used to make it. 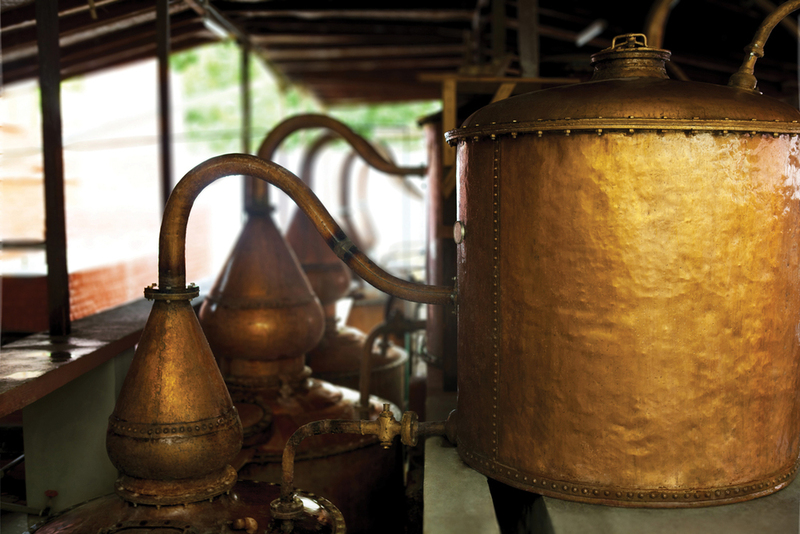 We invite you to discover centuries of Peruvian history and traditions by trying Pisco. Our cultural and biological diversity never stops surprising our visitors. The word Pisco is a variation of pisccu, that in the ancient Quechua language means ‘bird’. It was by this name that the Incas named a particular valley and seaport located in what is now the department of Ica, due to the abundance of flamingos, Peruvian thick-knees, Inca terns, condors and other feathered fauna. It was from Pisco that the spirit was embarked to the possessions of the Spanish Crown during the Colony (16th to 19th centuries). Pisco’s uniqueness is a combination of European vines adapted to the sunny soils of the southern Peruvian coast, their art of distillation that they brought with them to our country and the wisdom of the old potters who created the clay pitchers that are still used to store it. A good Pisco can be singled out from any other brandy due to a number of exclusive characteristics: the use of Pisco grape varieties as the single ingredient (the use of water is unthinkable) and the application of a direct distillation process. Also, Pisco presents a transparent color, distinctive sturdy and overwhelming flavor, and a subtle fragrance. The following varieties of Vitis vinifera L. have adapted to the Peruvian soil after centuries of cultivation and genetic mutation. Non-Aromatic: Quebranta, Mollar, Negra Criolla and Uvina. Aromatic: Italia, Muscatel, Torontel and Albilla. Non-Aromatic Pure Pisco: Made out of a single variety of non-aromatic grape. Aromatic Pure Pisco: Made out of a single variety of aromatic grape. Acholado: A blend of two or more grape varieties. Green Must: The result of distilling half fermented must. PISCO IS PROTECTED AND CONTROLLED BY A DESIGNATION OF ORIGIN THAT DISTINGUISHES THE SPIRIT OBTAINED FROM DISTILLING FERMENTED FRESH MUSTS OF SPECIFIC GRAPE VARIETIES (KNOWN AS “PISCO GRAPES”). THE METHODS APPLIED PRESERVE THE TRADITION AND QUALITY PRINCIPLES ESTABLISHED IN THE COASTAL VALLEYS OF AREQUIPA, ICA, LIMA, MOQUEGUA AND TACNA, WHICH ARE THE PRODUCTION ZONES RECOGNIZED BY PERUVIAN REGULATIONS.